I usually show my dolls separately by types. I don't like to mix different groups in one photo. Today I'm going to compare, weigh and measure my playscale girls. 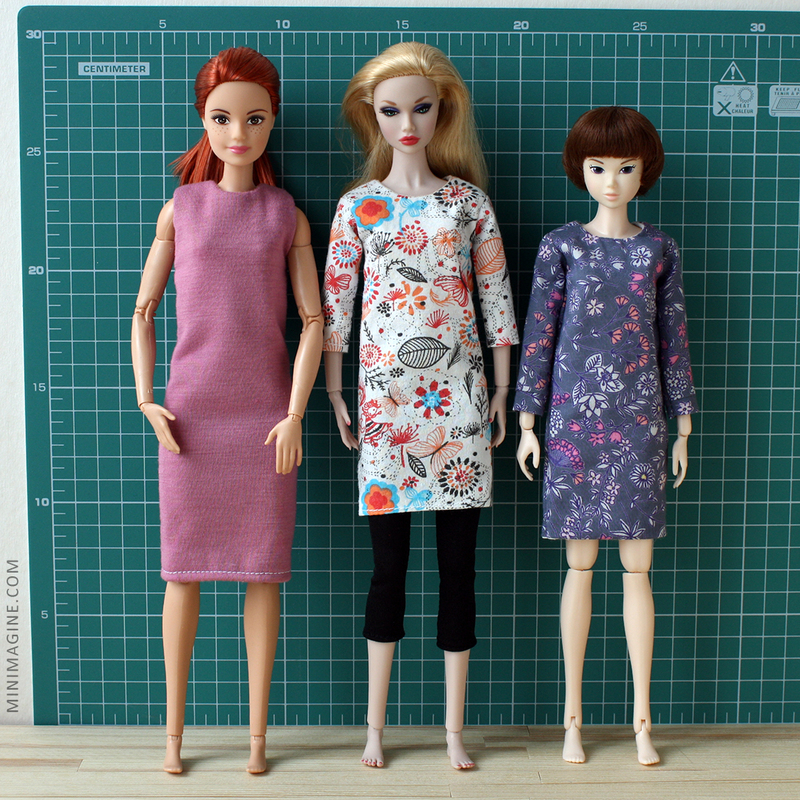 As you can see, Momoko dolls are much shorter than MTM Barbie and Poppy Parker. They are dolls in about 1/6 scale. Let's check how tall would they be in a human scale. This awesome scales is courtesy of Marta from The Doll Whisperer blog (Marta, thank you so much!). Click the pictures to zoom in and see that it works. Poppy: 105g (3,7oz), x6 = 0,63kg (22,2oz). I also compared these three types of dolls' feet. Barbie has small (22,5mm) and the narrowest (8mm) feet so she wears most shoes. Poppy's feet are the widest (9mm) and the longest (23mm). Momoko's feet are also 9mm wide but they have narrower toes (lenght 22,5mm). By the way, it was really hard to set barefoot Barbie without support. As for the height, there are quite good proportions between 1:6 scale and human size. Feet are obviously much too small but it is caused by technical reasons (shoes). But what will happen if you compare the weight? I know it's a little weird. It's even better that dolls are so very light because otherwise shipping cost would be terrible. I wanted to dwell on a subject though. I multiplied weight of my dolls six times and then hundred times. Look what turned out: Momoko 48kg, Barbie 69kg and Poppy 63kg. Not bad. I don't think that these dolls' producers minded it. But my adult adventure with dolls started by a dream that I have a doll perfectly proportional. I also calculated my dolls' BMI (body mass index): Momoko 18,3 (slightly underweight), Barbie 22,8 (normal weight) and Poppy 20,8 (normal weight). Thank you. You have great dolls collection. Świetne porównanie! Nigdy mi nie przyszło nawet do głowy, żeby zrobić coś podobnego! Dzięki! Lubię różne tabelki i analizy więc postanowiłam sprawdzić, czy i znajdę jakiejś prawidłowości u moich lalek ;-) Pozdrawiam! This is really interesting. 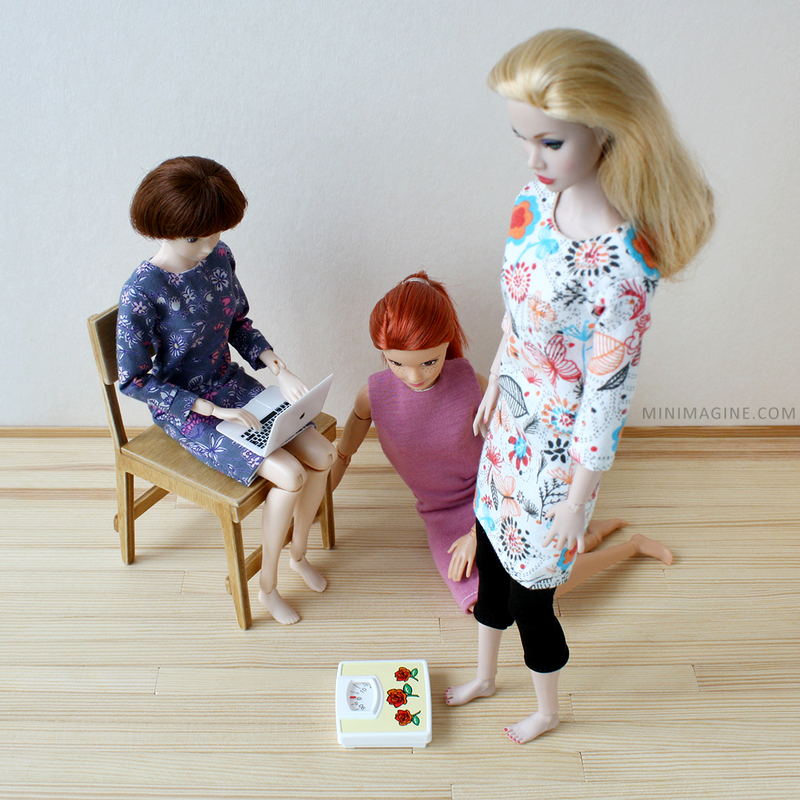 I had no idea Barbie actually weighed more than Poppy. I always thought it was the other way around. Also, I was curious to find out that Barbie and Poppy are in fact 29cm and not 27cm which Momoko is. I always thought of 1/6 scale as being 27cm. Thank you for this comparison! It really opened my eyes. 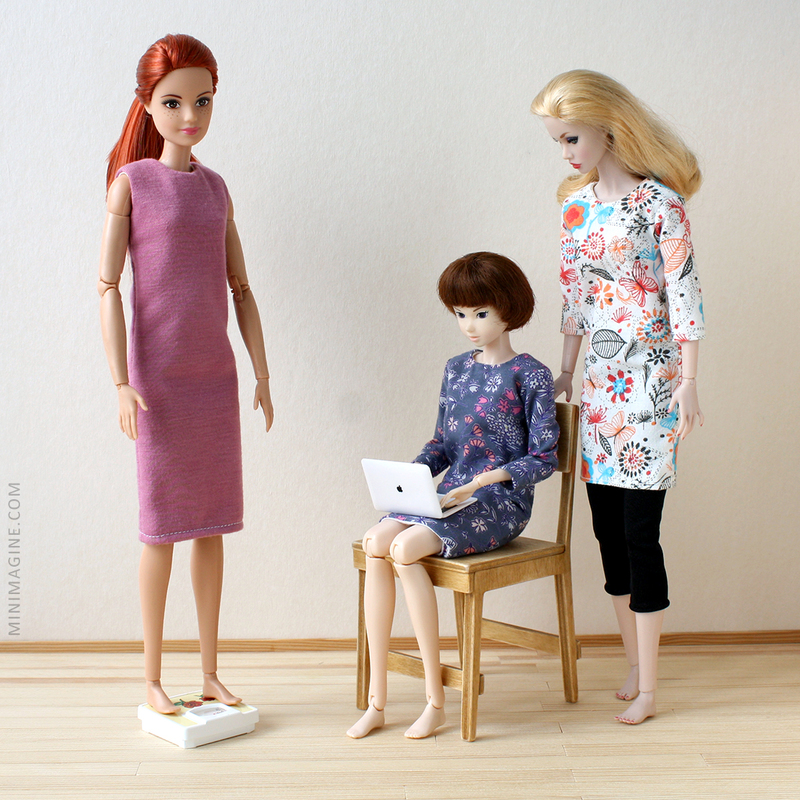 I do agree, I am glad these dolls weigh a lot less! Shipping for BJDs are always so expensive because of their weight. The biggest of mine weighs in around 4kg! Thank you. I'm glad that it was useful. 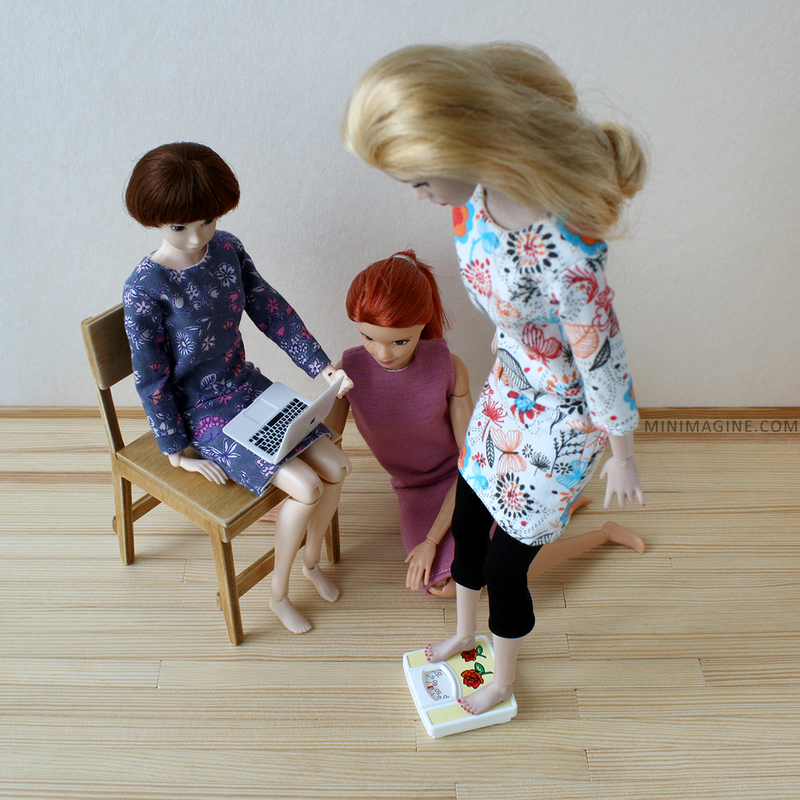 I thought that Poppy weighs more than Barbie too. Wow thank you for this comparison, really interesting :) ! They look really cute, Momoko is sotiny :). I really enjoyed this comparison! It was great! 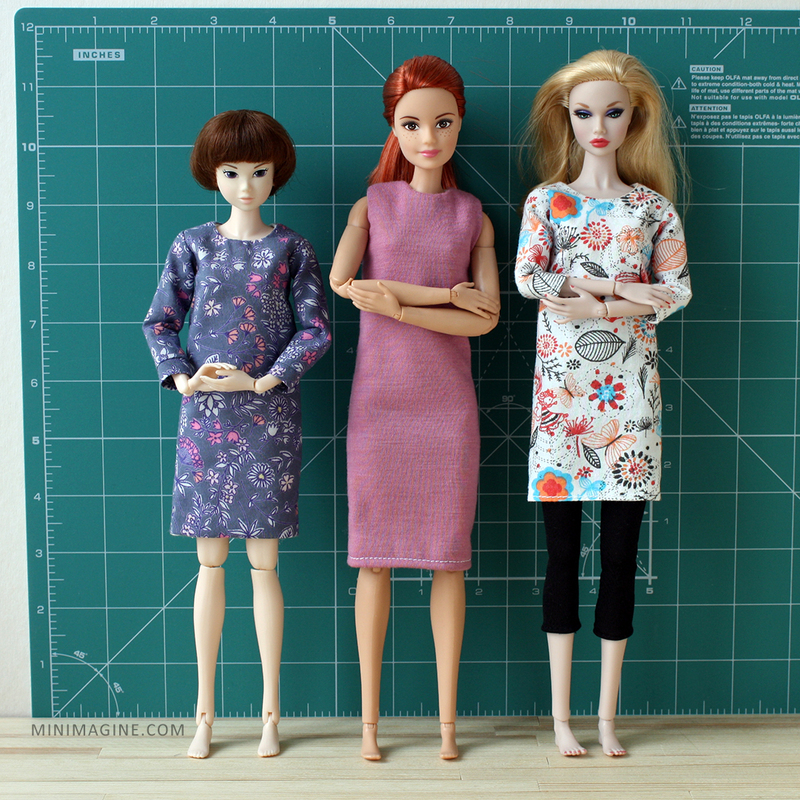 I am surprised the the Barbie came out to be 5'9" as I thought they would be closer to 5'6". So the regular FR dolls that are 12.5 inches tall would be about 6'3". Very surprised by the weights! I too though Poppy was a little heavier than Barbie just because the material she is made of seems more dense. Now I took it one step further based on your measurements to convert the weights to pounds since that is what we use in The US. 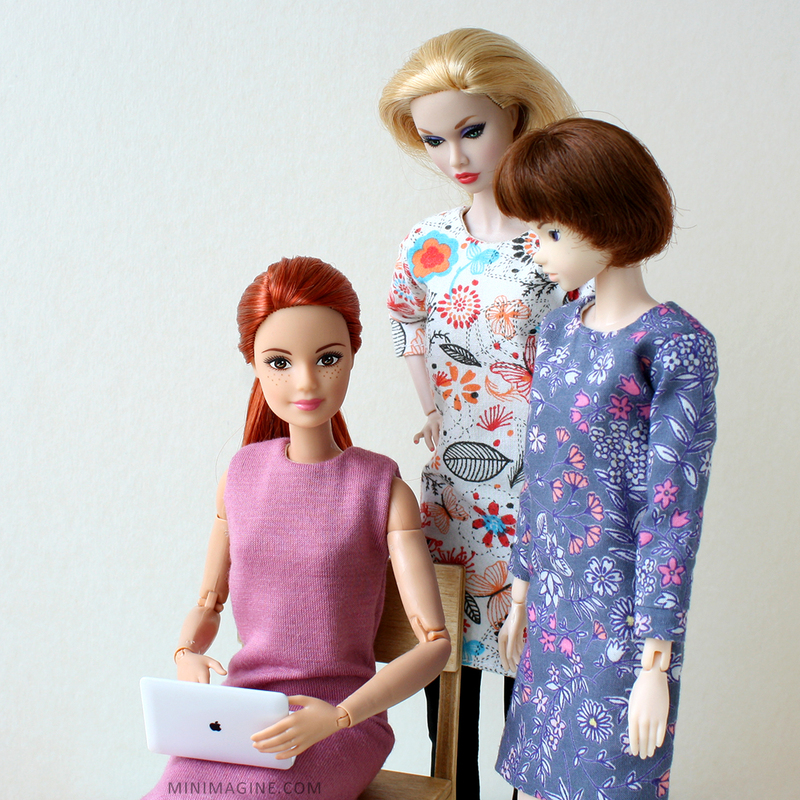 So Momoko would be about 106 lbs, Barbie 152 lbs, and Poppy 139lbs. Very interesting! Thank you so much for the right measures for the US! I really appreciate it. I'm glad that my article was useful for you.